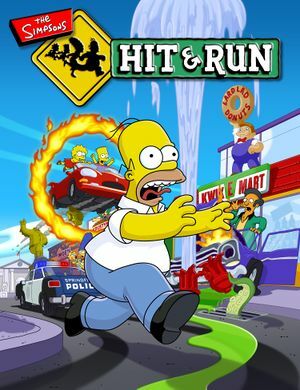 It is recommended to use Lucas' Simpsons Hit & Run Mod Launcher to play the game on modern systems. The game was designed to run at 60 FPS and has problems of varying severity at framerates higher or lower than 60. Adds compatibility fixes for modern systems and additional customization options. Open Lucas Simpsons Hit & Run Mod Launcher.exe shortcut properties. Add -launch as a command line argument. Use Lucas' Simpsons Hit & Run Mod Launcher. Force via graphics card control panel. No frame rate cap. See Frame rate (FPS). The game supports six hardcoded resolutions out of the box. Lucas' Simpsons Hit & Run Mod Launcher extends this support to any resolution reported by your graphics card or manually specified in the game's configuration file. By default, the game's FOV will be adjusted in relation to your selected aspect ratio. Enable Aspect Ratio Support and select it. Click Mod Settings and change the FOV value. Enable Resizable Window to make the window resizable and maximizable. The game was designed to run at 60 FPS and has problems of varying severity at framerates higher or lower than 60. Below 60 the player may clip into cars, which can pose an issue in many destruction missions. Above 60 FPS both player car physics are negatively effected, causing cars to fly off edges at uncontrollable speeds and the player character being able to jump higher than originally intended. In some cases at excessively high frame rates, the game can blue screen playing loud static sounds. Enable Frame Limiter and select it. Click Mod Settings and change settings if needed. Frame Limiter is set to 60 FPS by default. The frame limiter does not fully cap the game to your selected FPS and will likely be running at a slightly higher FPS than specified in the ini. Capping the frame rate on loading screens will negatively affect load times. Tutorials will always refer to the default controls. Mouse pointer doesn't disappear upon touch. Full DirectInput support. Game takes XInput devices, with several issues included. No way to rebind pausing to a controller (use antimicro). Volume settings do not affect introduction movies. The "Voice" setting also affects level-end cutscenes. Music, Effects, Vehicles and Voice are supported. This fixes a bug in the game that causes it to take a long time to load files on Windows Vista and later. Also tick Disable Visual Themes, Disable Display Scaling on High DPI Settings and Disable Desktop Composition. Also tick Disable Visual Themes and Disable Desktop Composition. Also tick Override High DPI Scaling Behavior, performed by Application. This page was last edited on 11 April 2019, at 21:26.